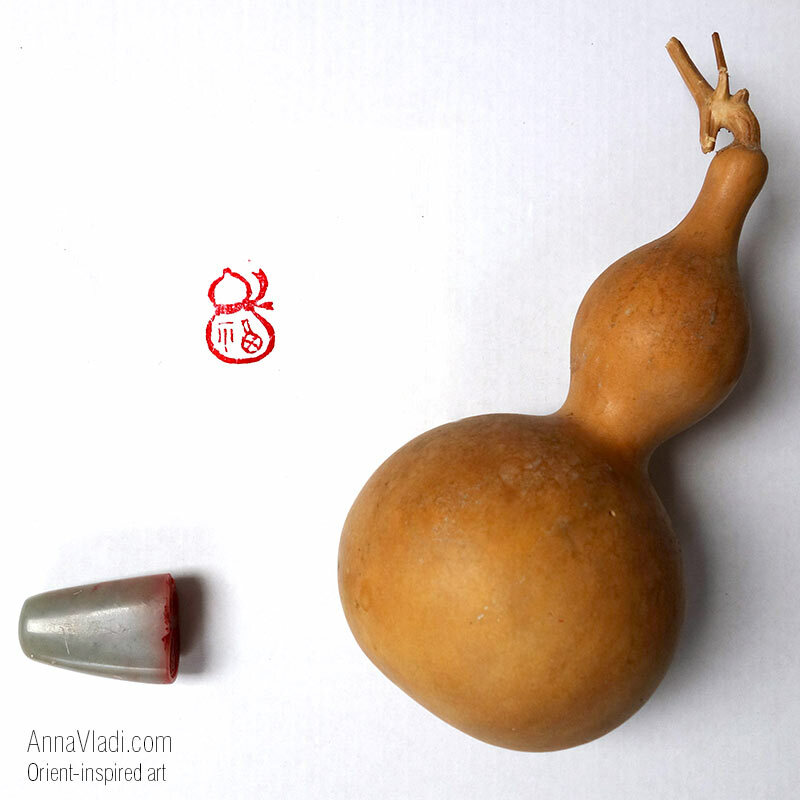 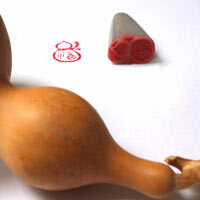 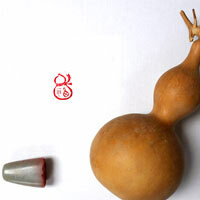 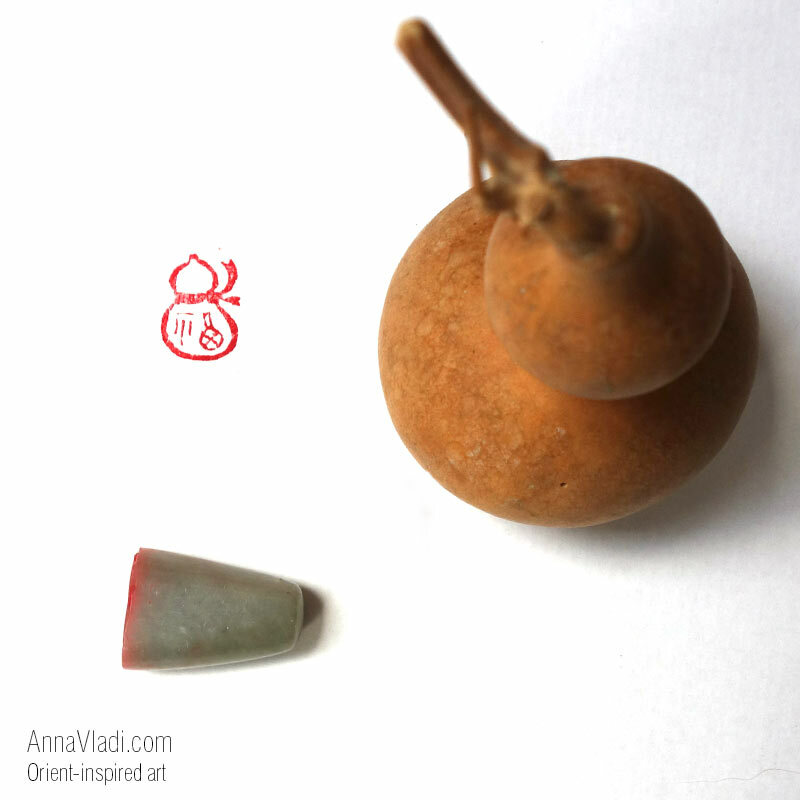 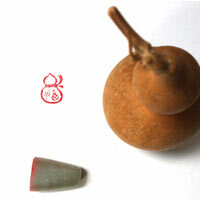 Calabash is an old traditional Chinese amulet for Fortune, Prosperity, Wellness and Good Health. 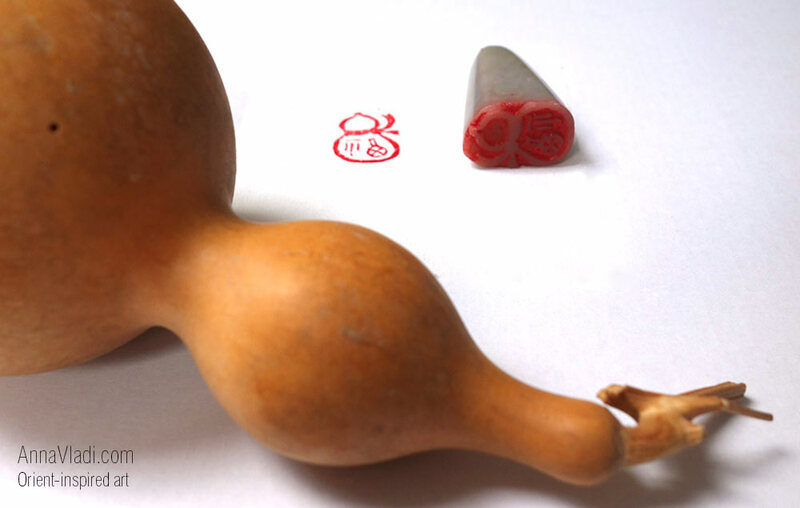 This particular seal features "Fortune" sign on the calabash, which doubles the well-wishing meaning of this seal. 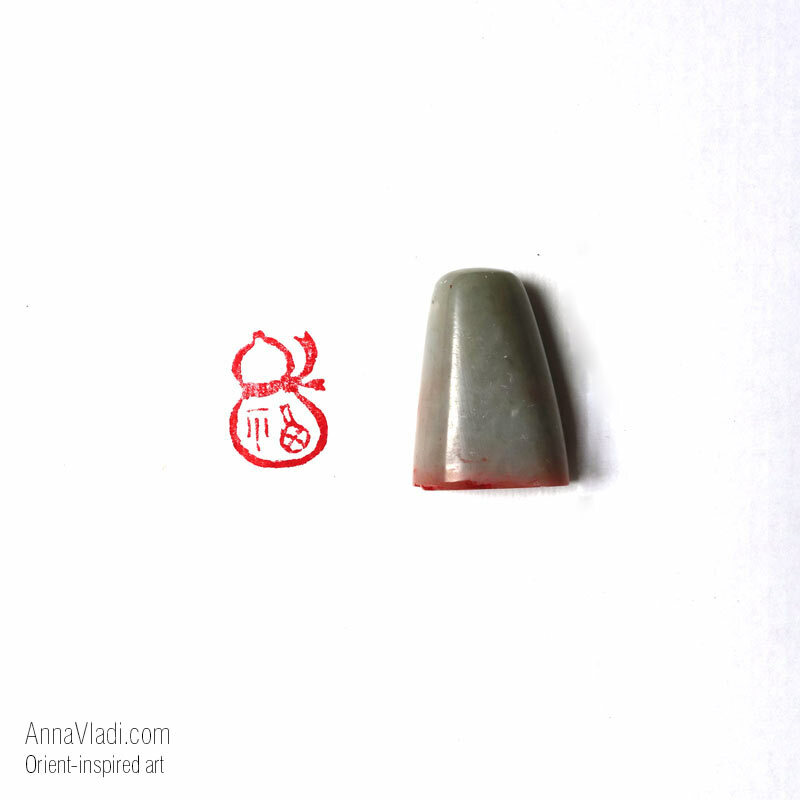 Perfect addition to a greetings card, painting or a calligraphy scroll created as a gift for a special friend.